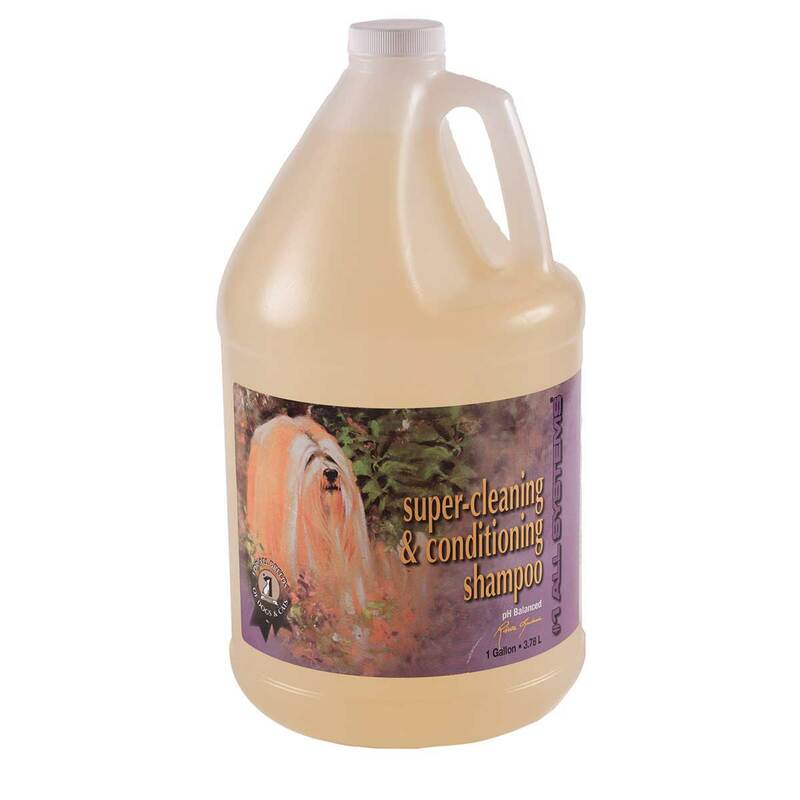 This shampoo leaves the coat with a clean natural scent that lasts and is safe and effective on all breeds and coats, even the most fragile. It can be used daily if necessary without worry about buildup or drying of coat or skin. The tearless formula leaves a residue-free coat that sheds the dirt easily and stays cleaner longer while the coat’s natural texture and pH are never altered. Formulated for dogs and cats.